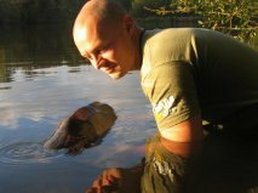 With a great record for catching carp and being am all round nice guy, carp talks editorial assistant Paul Monkman answers some questions for us. From the cover of carp-talk to the Northern carp cup winner Paul has had a great 2013 and there’s more from him too……. It is no exaggeration when I say 2013 has been my best year ever. I beat my personal bests for both commons and mirrors, caught my first UK forty, appeared on the front cover of Carp-Talk and won the Northern Carp Cup. If somebody had said to me at the start of the year that was going to be the case, then I would have had to question their sanity. Have you set yourself any targets for the winter? If I catch a fish this winter, it will be a miracle, and that is down solely to the fact that I’m set to become a dad for the first time at the turn of the year, and naturally my focus will be elsewhere. I’m still going to try and grab a few day sessions before the baby is due, though, so with a bit of luck, that miracle might actually happen. What advice would you give to someone who is thinking about starting a career in the fishing media? Working in the angling media might sound great to anyone with a passion for carp fishing and words and, to be fair, it is, but there are so few actual positions in the trade that you have to know your onions and get a bit of luck to stand any chance of being part of the industry. That said, it can be done, and I’d advise anyone keen to get into the industry to earn qualifications in English and journalism, develop a thirst for news, be pro-active and try to get articles published online or in print, to prove to potential employers that you have potential. Does working for a magazine give you more or less time on the bank? It has probably meant more time on the bank, because it has opened a few extra doors for me. Normally, I would fish just fish my syndicate and a few day tickets for variety, but because of my role within Carp-Talk, I have been given the opportunity to fish some amazing places, such as Area 52, Lakeview and Grenville, and that has helped retain my enthusiasm throughout the year. You recently took part and won the Northern Carp Cup. How did you find the competition aspect of carp fishing? I absolutely loved it. I know it’s not for everyone and I’m naturally going to be biased because I’ve got nothing but good memories, but if you can take it for what is – essentially getting the best out of a swim and hoping for the best – then you can get a real buzz from it. Alan, my angler partner, and I got a couple of good draws on our way to winning the Northern Carp Cup and I’m sure our luck will run out in the next competition we are in, but we’ll still attempt to get the best out of our situation and hopefully, once again, it’ll be enough. What three things would you say are key to competition success? Without doubt versatility, preparation and determination. I say versatility because you can never accurately predict where and how you’ll end up fishing, and it might take a number of tactical changes during the course of a match to get a fish on the bank. Preparation is vital because some matches can involve a lot of activity, and having rigs, PVA bags and bait at the ready can make the difference between success and failure. However, there’s no point being versatile and prepared if you aren’t determined. Match fishing takes a lot of dedication and hard work and the anglers who are best at it tend to have a greater will to succeed than their counterparts. What would you say has been your most memorable moment in your carp fishing career? 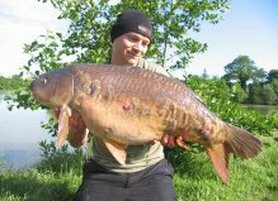 It is very difficult to pin it down to one particular moment, but I’ll never forget the first carp I caught on proper carp-fishing gear (a nine-pounder in about 1997), my personal best of 41lb 6oz earlier this year and, of course, our Northern Carp Cup win. As an employee of Carp-Talk you regularly attend shows – do you think the increased popularly of shows is a good thing for smaller brands trying get their names out there? Smaller brands have just as much right and opportunity to be represented at shows as the more established brands. In fact, every show I attend I see a name I’m unfamiliar with, so there are clearly people out there trying to increase their brand awareness, and, in my opinion, it’s these sorts of companies that will succeed over the ones doing little to raise their profile. If you could give an angler one piece of advice to improve their catch rate, what would it be? The more time someone spends on the bank, the more they will learn, be that about the venue they are fishing or themselves, but that extra information garnered from putting in the effort to do a few more sessions in will, in turn, result in more fish. That’s a very tricky question to answer, because of looming parenthood, but I’d be a fool to think my fishing won’t suffer as a result, as I know it will. However, I am booked in for the British Carp Angling Championships and the Northern Carp Cup, so they will require a bit of practice, and I’m also renewing my syndicate membership, which will be the place I do most of my own angling. I’m going to need to be more dedicated than ever with my fishing, as my time will be more limited than ever, but I’m definitely up for the challenge!